Another successful Kilimanjaro trip combined with Mount Meru, Kili’s little sister. Winter blues getting you down? Why not join us on one of our upcoming adventures. With guaranteed departures across Africa, Asia and South America there’s sure to be something to cure those itchy feet! 11th Sep – Summit success. All the team reached the summit of Kilimanjaro this morning at 6.30 am. Dean said that the whole team made a great effort to overcome the challenges that Kilimanjaro presented to them. Expedition report – Everyone made it back to the UK safe and well. Jean went beyond her goal of reaching Kibo Camp, David celebrating his 60th Birthday on the mountain reached the famous Gillmans Point. The rest of the team made it to the summit of Kilimanjaro at 07.45 local time for a wonderful sunrise. The last camp on the mountain was celebrated with birthday cake and Champagne. Kilimanjaro & Mt Meru Expedition News 5th September 2008. 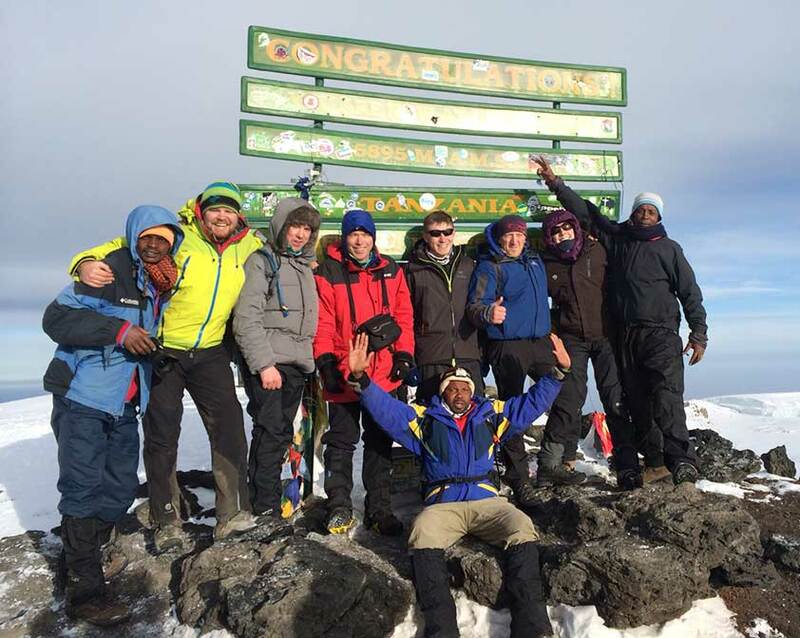 10th Sep – The whole team have successfully summitted Mt Meru and now have Kilimanjaro in their sights. Everyone is well and in great spirits. Kilimanjaro & Mt Meru Expedition News 2nd September 2008. 12th Sep – Pete, Garron, Enda, Laurie & Xavier all successfully reached the summit of Kilimanjaro in the early hours of today. Kilimanjaro & Mt Meru Expedition News 5th August 2008. 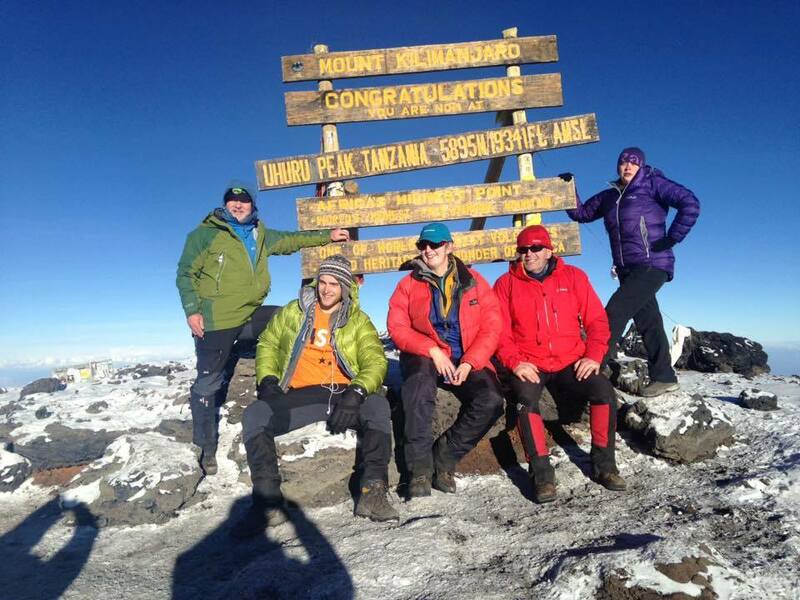 15th Aug – SUCCESS – Campbell, Jonathan, Stuart & Jack have all reached the summit of Kilimanjaro. Irene reached a height of 5000m, a personal best and was happy with her achievement. All the team are now heading back down the mountain for a well earned rest in Moshi before the flight home. Kilimanjaro & Mt Meru Expedition News January 2008. 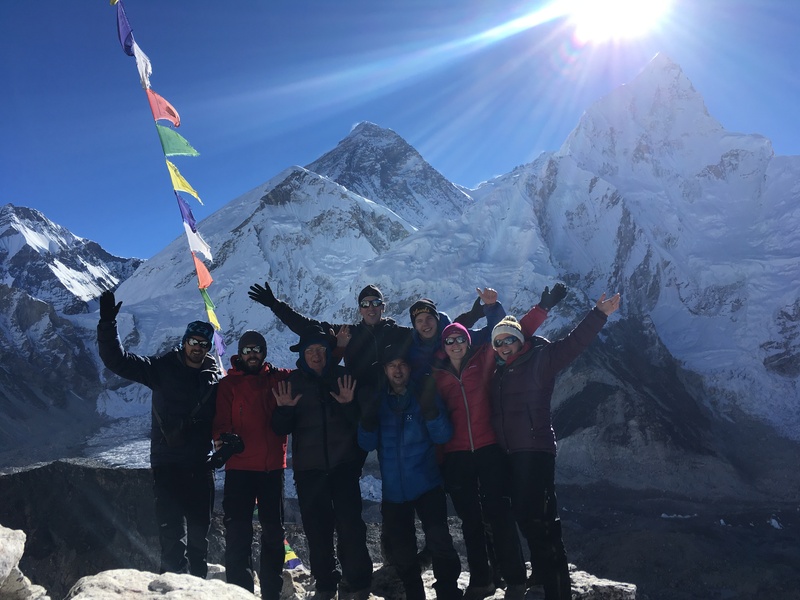 19th Jan – Summit Success! At 6.30am Jerry, David, Antoinette and Adam summitted Mt Kilimanjaro in very cold and windy conditions. Peter, still suffering from fatigue, stayed down at High Camp and celebrated his birthday with breakfast in bed. The team were thrilled with their success as only 15% of groups made it to the top because of the wintry conditions. Kilimanjaro & Mt Meru Expedition News December 2007. 28th December – SUCCESS! The team all reached the summit of Kilimanjaro yesterday capturing a spectacular sunrise across the African plains. 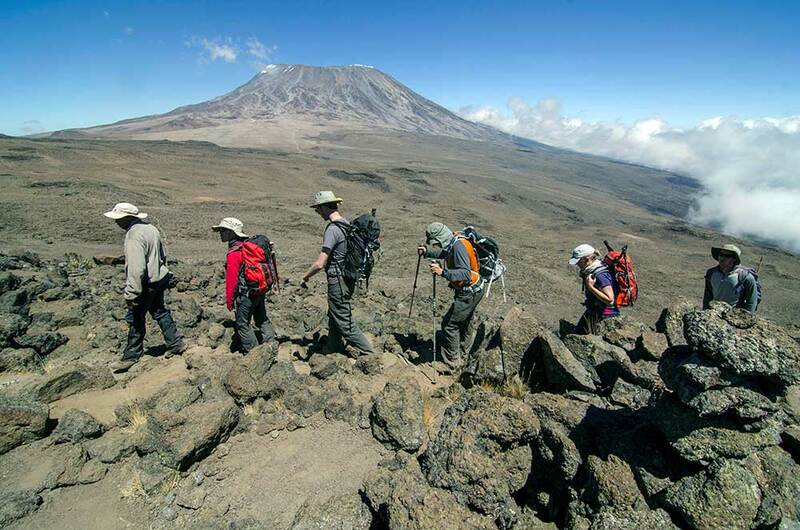 They are now down at camp 2 and will be back in Moshi tomorrow, well done to all. The group will be home before New Year.